Admission: Hospital admissions staff welcome patients and gather important patient medical information. Recent advances in wristband printing allows for a patient to wear a wristband with a barcode. Simply scan the wristband with a healthcare scanner or mobile computer to obtain a patients records, in real time. Patient Care: Real time updates of a patient’s medical records can dramatically increase services and care provided by a healthcare facility. 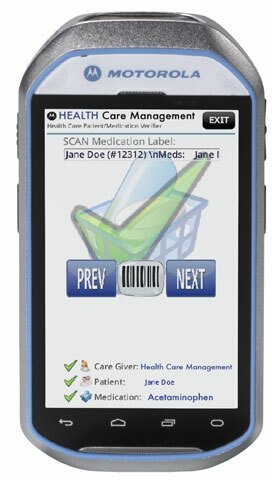 Using healthcare scanning and mobile computing devices can help significantly cut down on errors. Scheduling appointments, sending prescriptions and reviewing patient history, are only a few of the solutions available when using Zebra healthcare products. Zebra has announced additions to its comprehensive Positive Patient Identification solution set. 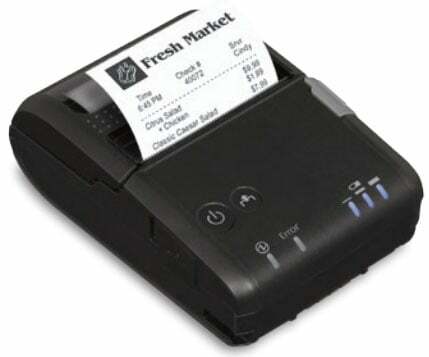 Zebra’s new LaserBand ST is a durable, low-cost way for ambulatory surgery centers and outpatient clinics to identify patients throughout their procedures. Smartphones have transformed the way healthcare providers communicate, and these mobile devices are poised to revolutionize the way hospitals deliver care in 2014 and beyond. Texting long ago surpassed voice calls as the favored method of communication among the general population, and it is rapidly gaining favor in hospitals. Doctors and nurses already exchange patient related texts on their own personal phones at many facilities, and as more hospitals issue mobile devices to employees, the ability to communicate quickly and access and update patient data on the move has become a critical function. Deploying mobile, flexible, and reliable IT tools to caregivers is a top priority for provider organizations that not only need to meet new regulatory and technology requirements, but want to do so efficiently. At Cedars-Sinai Hospital in California, for example, the combination of smartphones and a new software solution to help prioritize alarms resulted in faster response times for emergency conditions, and a 50 percent reduction in overhead pages. Laboratory values are received 10 minutes faster and nurses are able to spend more time at the bedsides of patients who require their attention, according to a case study published by the Robert Wood Johnson Foundation. Hospital administrators are finding that inexpensive and unobtrusive radio frequency identification tags are saving thousands of dollars while increasing quality of care and patient satisfaction. At the brand-new, 58-bed Texas Health Harris Methodist Hospital Alliance in Fort Worth, everything that moves is being tagged, including high-value assets, wristbands on patients and the badges of all staff members. Over the last year, RFID has saved the Texas Health Alliance $65,000 per month just in rental fees, said Kathi Cox, a project coordinator at the hospital’s parent company Texas Health Resources.